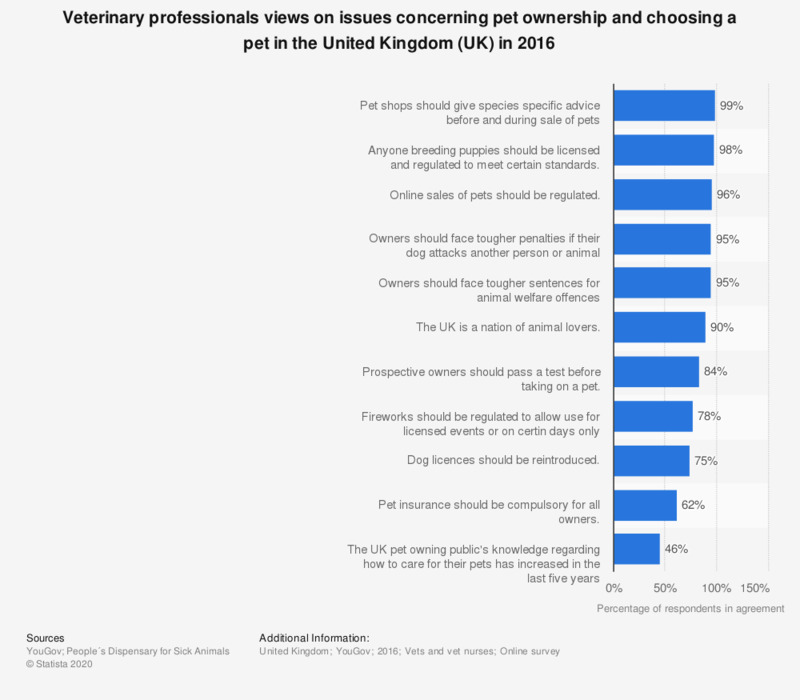 This statistic displays the proportion of vets and vet nurses who agree with various issues concerning pet ownership in the UK, from a survey conducted in 2016. Of responding veterinary professionals, 98 percent agreed that anyone breeding puppies should be licensed and regulated to meet certain standards. Number of respondents not specified.